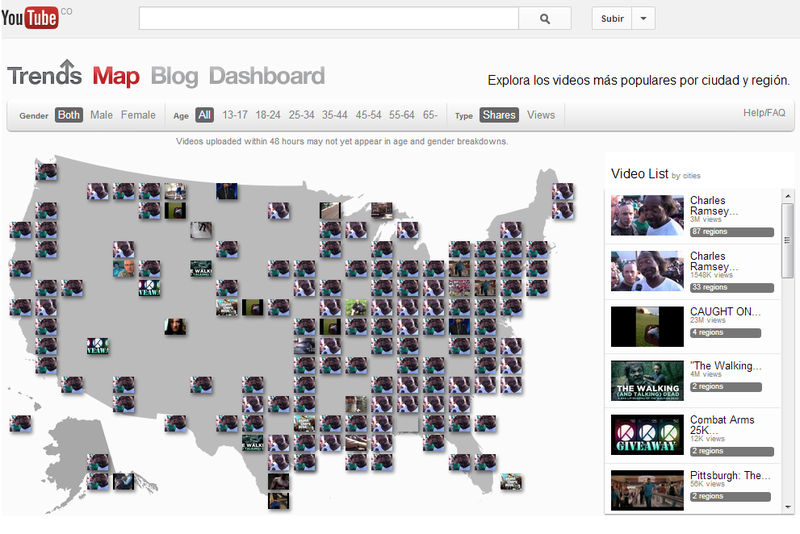 You Tube has launched a page where you can see what are the most watched videos on every state of The US. You can even filter by gender or age to see how it changes! Right now, the Trend Map is just avaliable for The United States, but You Tube said they are looking forward to expand it to other locations soon!! This entry was posted on May 8, 2013 by jmarinsi in News and tagged Innovation, new, Technology, Trends, video.